In the world of sports today, what are considered to be more traditional types of competitions usually imply elements which are widely known by the audience, such as strength, agility and so on. All these elements however are dependant on the participant itself and these can be the result of his training and achieved prowess. In the case of extreme sports however the paradigm knows quite the shift. The inherent danger that exists in what are considered to be extreme sporting events, does not stem from the participant himself, but rather from the circumstances that he or she put themselves in. In consequence, the sporting element stems from the situational environment that the participant puts himself in, examples of these elements can be speed, height, dangerous terrain, lack of safety measures or supervision and so on. These represent just a few examples of characteristics that exist in extreme sports, and the danger that may possibly arrise from them. Sports are considered more extreme directly proportional to the number of elements that are outside the control of the participant. 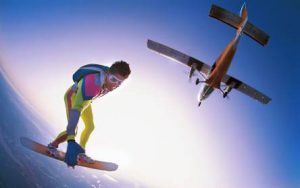 As far as competitions go, extreme sports have started to see a substantial following at the end of the 20th century, with alot of media covering these types of events more regularly. As the media attention increased, so did their popularity amongst the viewers which in turn giving birth to whole media outlets that engage on different mediums, the sole purpose of which is to cover these types of sporting events. Due to the ever growing increasing popularity of these types of competitions, ever increasing amounts of money had started to be put into them, which took the shape of high paying prizes and sponsorship. While the more traditional sports and extreme sports have few things in common there is one aspect that puts them in the same boat, there is a massive gambling industry around them.